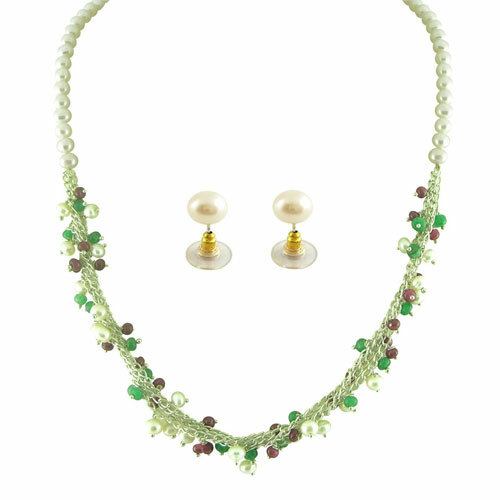 Pearls are known for their versatility and their ability to look great with any metal that they are combined with. But we can’t deny that with silver, they are their classiest best. When silver and pearl are woven together into jewellery, they bring out a very rare and subtle shine in each other that makes the jewellery in itself look beautiful and the wearer a lot more beautiful. It is not a surprise that a lot of people are ditching heavy gold necklaces to wear pearl and silver necklaces bigger events like weddings as well. The age-old combination of Sterling Silver and Pearls have always been worn by Christian brides all over the world. 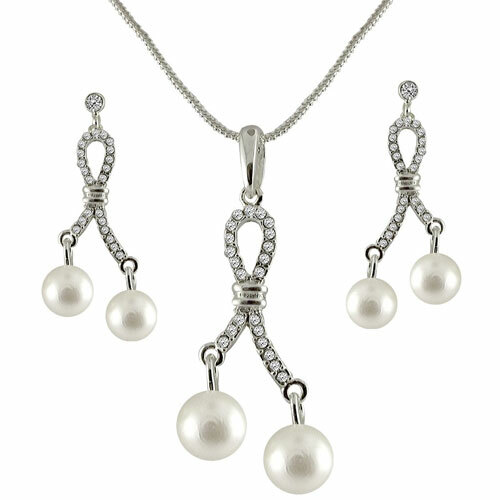 With its slightly darker shade, sterling silver has looked the best with pearls when contrived into beautiful designs. At JPearls, we’ve got some very beautiful pearl and silver necklaces specially crafted by our expert designers into some beautiful and ornate designs. Be it for a celebration or for daily wear, these are bound to look great. This multi-stranded necklace made up of pearls and silver is a classic example of a pearl and silver necklace. It shows us how the combination of the two can be simple and yet very elegant. This chain made up of silver alloy and freshwater pearls can be got at just Rs899. Made up of silver, pearls and tiny little coloured stones, the JPearls Multi-coloured Silver Pearl Necklace is yet another example of how silver and pearl make for a gorgeous combination. 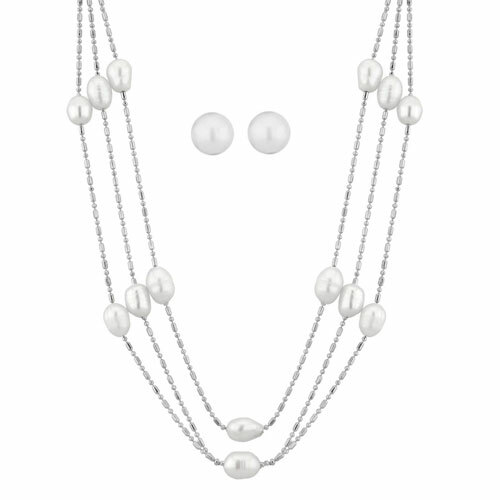 If a pearl and silver necklace for wearing everyday to your workplace or college is what you’re looking for, this is just perfect. A single chain that’s made up of pearls and silver woven into a very simple design can still look as beautiful as this. With pearl drops, silver chain and CZs, this Pearl and Silver chain will make you look your prettiest even though it is very minimal. 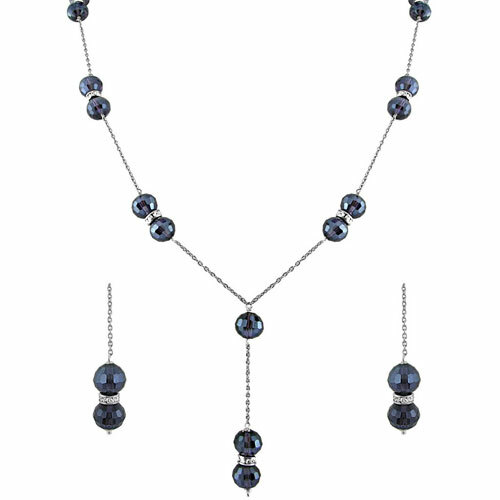 Out of all the colours of pearls, it is black pearls or Tahitian pearls that look the best with silver. Made out of black pearls, silver and CZs, this chain is sure to make the wearer look classy and pretty at the same time. 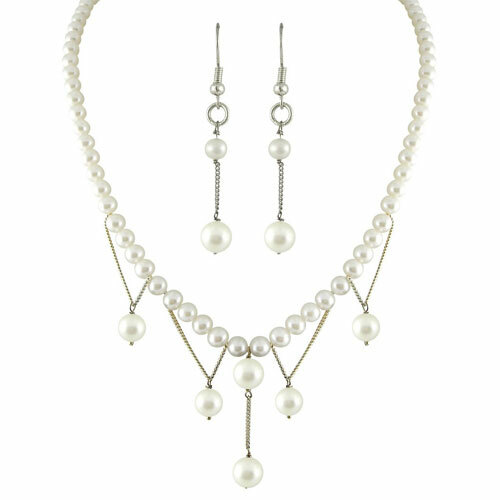 And just the like name of the pearl set says, it can be very chic and stylish too. This seemingly simple pearl and silver necklace is in fact so beautiful that it can even be worn to weddings. And it is solely because of its beautifully intricate design that what could have been a simple pearl silver chain turned into a necklace worthy of a princess. Next time you decide to indulge in pearl shopping, ditch the regular pearl jewellery and get one of our all new pearl and silver necklaces. And you’ll soon find yourself falling in love with the timeless and beautiful combination of silver and pearl.